The Bethlehem University Foundation is proud to announce recent achievements in its mission of supporting and promoting Bethlehem University. Over the past six months, the Foundation has raised over 1.1 million dollars in support for scholarships, restricted gifts, endowments, and the Annual Fund. Substantial gifts were made for the creation of new endowments and an endowed scholarship. 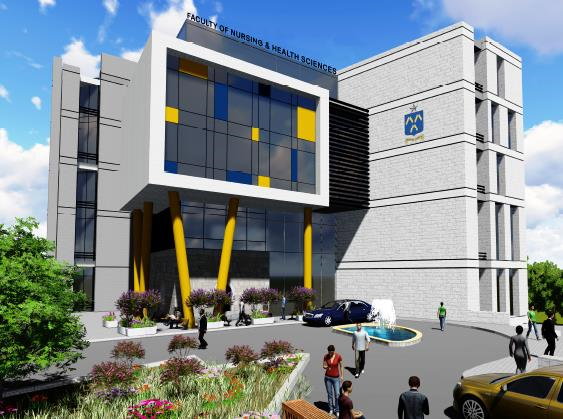 Endowments enable the Bethlehem University Foundation to create and maintain a lasting and sustainable future for Bethlehem University. The Theodore Cardinal McCarrick Endowment for the Faculty of Nursing and Health Sciences , established by the generosity of the Andreas Foundation, will annually provide financial assistance to the Faculty of Nursing and Health Sciences. 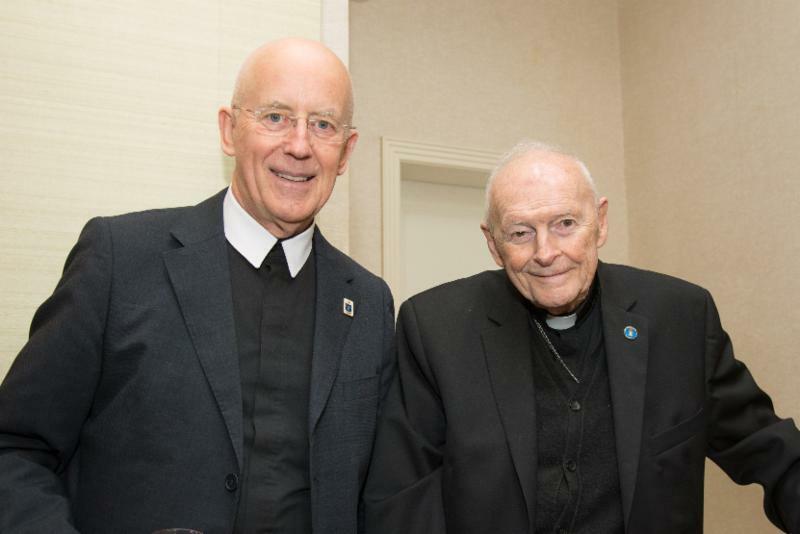 His Eminence Theodore Cardinal McCarrick, Archbishop Emeritus of Washington, is shown with Brother Peter Bray, FSC, Vice Chancellor of Bethlehem University, at the Foundation's reception on November 9th, 2017. The establishment of the endowment was announced during the reception. The Frank and Julie Jungers Clinical Supervision of Nurse Trainees Endowment , established by the generosity of Mr. Frank and Mrs. Julie Jungers, will support the clinical supervision of nurse trainees at Bethlehem University. 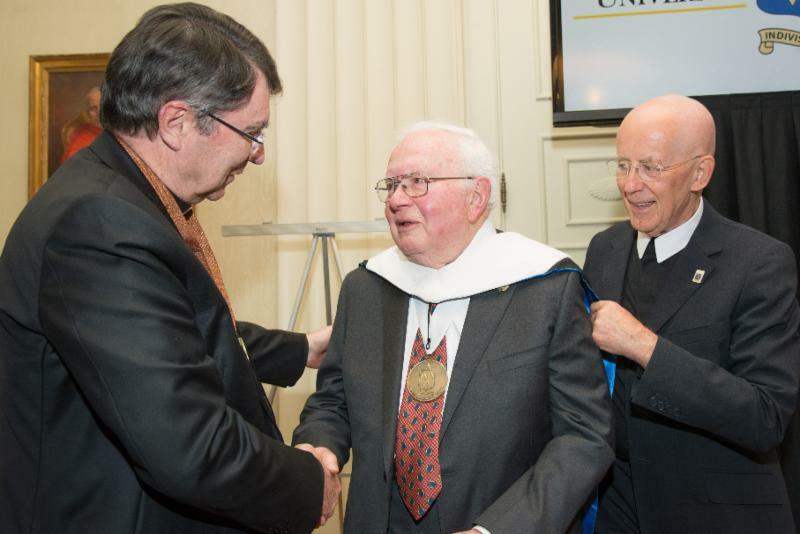 Mr. Jungers is shown receiving a Doctorate of Humanities, Honoris Causa , from Brother Peter Bray, FSC, and the Most Reverend Christophe Pierre, Apostolic Nuncio to the United States, at the November 9th reception. The Mary Westhoff Abu-Ghazaleh Endowed Scholarship , established by Dr. Samir Zaki Abu-Ghazaleh, in honor of his wife, Mrs. Mary Westhoff Abu-Ghazaleh, will annually cover the tuition expenses of a student of the Faculty of Nursing and Health Sciences. 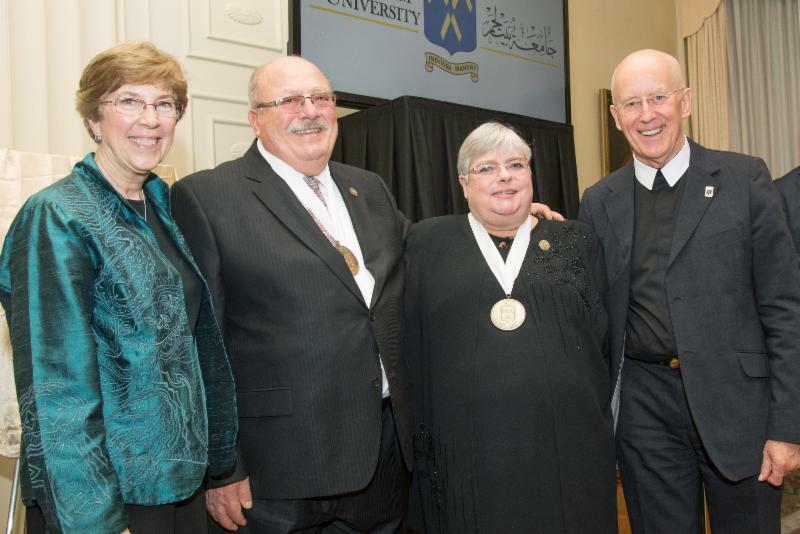 Sister Irene O'Neill, Chair of the Board of Directors of the Foundation, is shown with Dr. and Mrs. Abu-Ghazaleh as they are invested as Legacy Patrons of the Bethlehem University Foundation. Dr. Samir Abu-Ghazaleh is a member of the Board of Directors of the Bethlehem University Foundation. Dr. and Mrs. Abu-Ghazaleh are the underwriters for the Patrons of the Bethlehem University Foundation. Other notable gifts include those made for naming opportunities for the expansion of Bethlehem University's campus. A gift from Dr. George L. Zarur, will name the staff and student lounges on the top floor of the future Cardinal Foley Building (above) that will house the Faculty of Nursing and Health Sciences, in honor of Joseph and Regina Abu Zarur. A gift from Mr. François Letaconnoux was made to name the ground floor foyer of the Cardinal Foley Building in honor of Geraldine and Calleen King. 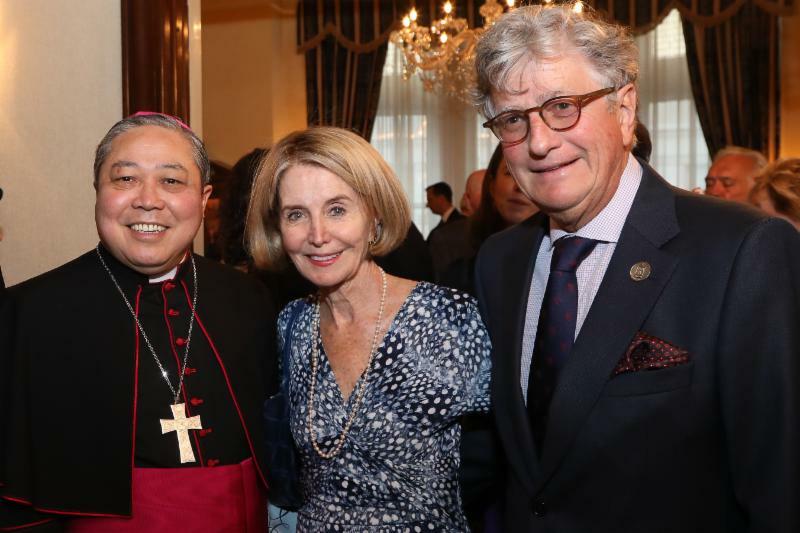 Mr. François and Mrs. Calleen Letaconnoux are shown with the Most Reverend Bernardito Auza, Apostolic Nuncio and Permanent Observer to the United Nations, at the Foundation's reception on April 20th, 2017, at the Residence of the Holy See to the United Nations, shortly before their investiture as Gold Patrons of the Bethlehem University Foundation. Mrs. Letaconnoux is a member of the International Board of Regents of Bethlehem University. To discuss naming opportunities on the campus of Bethlehem University, please contact the Foundation. The next few months look to be equally prosperous, with the Way to Bethlehem Camino Campaign , which is aimed at creating a global awareness for Bethlehem University through social and digital media and raise funds for the University to enhance, improve, equip, and expand facilities. The Foundation is also looking forward to the April 5th reception at the Residence of the Holy See to the United Nations, honoring the Patrons of the Bethlehem University Foundation . 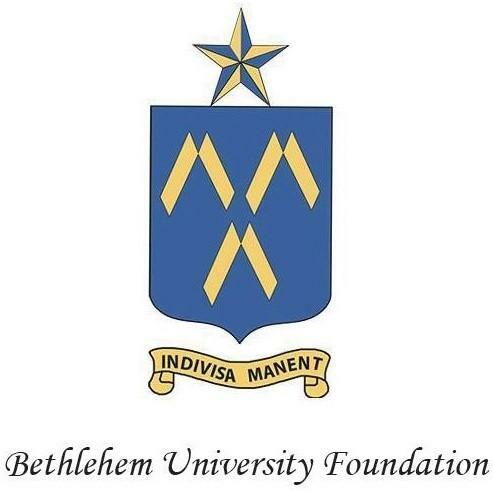 On behalf of the community at Bethlehem University, the Board of Directors and the staff of the Bethlehem University Foundation thank the Foundation's donors for their continued support and generosity.